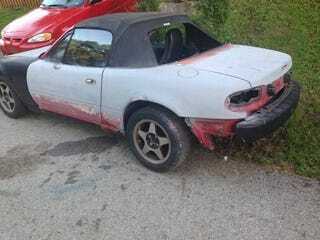 I found your $1000 Miata project. He was asking $1500 two weeks ago. I'm afraid he's going to scrap it. Somebody rescue the poor thing. Dang. If I had a grand I'd find a way.